Looking for a job in Fayette County Pennsylvania? The following is a directory of Fayette County PA top employers with direct links to the jobs they offer. This directory includes local city job links as well as the larger job posting boards. Only sources that have job listing pages, business directories, and/or legitimate human resources contact listings are provided below. 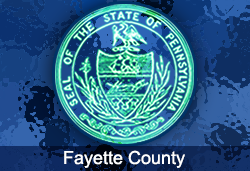 Fayette County Pennsylvania periodically posts job openings. Positions found on this review date had included Department Clerk I Adult Probation, Dispatcher, Correction Officer, Caseworker, Public Defender, Administrative Assistant, and Court Clerk. Check for new listings. The Fayette Chamber of Commerce is a great resource to use for exploring area businesses, economic climate, workforce information, cost of living, and more. Uniontown Hospital is a compassionate, dedicated community hospital providing a full range of medical care to residents of Fayette County and the surrounding areas for more than a century. Uniontown Hospital has ongoing opportunities. Jobs surveyed included Cardiac Sonographer, Clerk Lab Assistant, Clinical Informatics Analyst, Clinical Quality Analyst, Clinical Social Worker, Communications Officer, Environmental Services Attendant, Financial Access Clerk, Health Unit Coordinator, Licensed Practical Nurse LPN, Medical Technologist, LPN Varied Shifts, Medication History Technician, Nursing Care Assistant, Nursing Care Assistant, Operating Room Technician, Patient Transporter, Pharmacy Technician, Police Sergeant, Registered Nurse, Registered Nurse ER, Registered Nurse ICU, Registered Nurse PACU, Registered Nurse RN Surgical, Scheduling Clerk, Technologist, and Ultrasound Technologist. Highlands Hospital is a locally owned and operated 64 bed hospital in the picturesque Laurel Highlands of Southwestern Pennsylvania. Job openings found had included Nursing Shift Supervisor, Psychiatrist, Med Surg Staff Nurse / RN, Emergency RN Staff Nurse, Lab Medical Technologist, Autism Program Staff, Coordinating Teacher, Classroom Behavioral Therapist CBT, Medical Assistant,Patient Registrar, and more. Cherry Tree Nursing Center was hiring. Job openings found included Full Time & Part Time License Practical Nurse, Part Time Housekeeper, Full Time/Part Time Registered Nurse Supervisors, Part Time Dietary Aide, Full Time Floor Tech, Full Time Billing Office Clerk, Full Time Activity Aide, and Full Time/Part Time Registered Nurse. Fayette Home Care & Hospice and UPMC Cancer Centers provide opportunities. Both networks are a part of UPMC. Positions found had included Hospice Licensed Practical Nurse LPN, Home Health Aide, Physician Assistant PA or CRNP, Professional Staff Nurse VNA, Advanced Practice Providers, Wound Ostomy Continence Clinician, and Occupational Therapist. Adagio Health is always looking for skilled professionals and volunteers to join its health care team. Belle Vernon Area School District had open positions such as Substitute Teacher, Substitute Bus Driver, Substitute Custodian, Substitute Secretary, Substitute Cafeteria, and Substitute Nurse. Connellsville Area School District had open positions for High School Varsity Head Wrestling Coach, Substitute School Nurse, and PA Certified Teacher Substitutes. Frazier School District was hiring Substitute Teachers on this review date. Laurel Highlands School District provides employment information for teacher candidates and Custodial, Maintenance, Cafeteria, Secretary, Security, Teacher Aide, and Health Room Aide Candidates. Southmoreland School District has a need for Substitute Secretaries, Aides, Custodians, Van Drivers, and School Police. Uniontown Area School District posts job vacancies for School Bus Drivers, Teachers, and various substitute and support staff positions. Penn State University offers world-class programs to students and alumni around the world and Penn State Fayette brings those opportunities to you. Learn about the academic programs, student life and athletics, community outreach, and more that take place right here at Penn State Fayette! Westmoreland County Community College had academic support staff positions and administrative positions on this review date. Uniontown Mall posts job openings for retail jobs, sales consultants, servers, hosts, assistant store managers, retail sales associates, bartenders, and customer service representatives. Make sure you are dealing with reputable companies before applying. The Uniontown Craigslist had job postings for positions such as Front Desk Receptionist, Server, Hostess, Sales Representative, Tutor, Private Tutor, Janitor, Custodian, Caregiver, Painter, Network Technician, Preschool Teacher, and more.